This course is suitable for users in a wide range of industries and work environments including Agriculture, Construction, Engineering, Landscaping, Industrial Sites and Workshops. The features of an abrasive wheel and how to protect yourself. How to operate your abrasive wheel safely and look after the machine. How to get the best results. The regulations governing the use of such equipment. The course provides both training and assessment, so that at the end of the course you know whether you have reached the Lantra Awards standard. 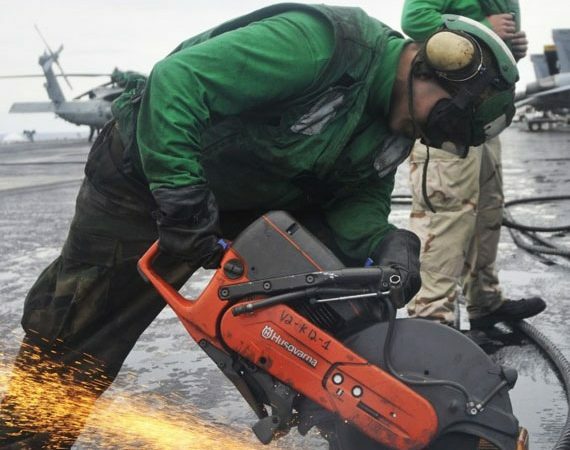 If you are successful you will be awarded not only a Certificate of Basic Training, but also a nationally recognised Skills ID Card stating your competence with abrasive wheels. Practical course for up to 6 people.